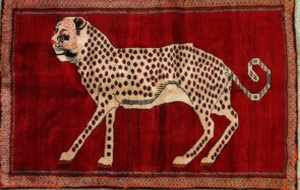 Rug weaving in Oushak goes back continuously to at least the fifteenth century and is the longest established carpet industry in the world. 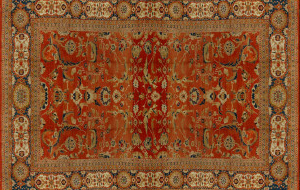 Always a commercial center, Oushak carpets have been woven for domestic and export markets from the beginning. 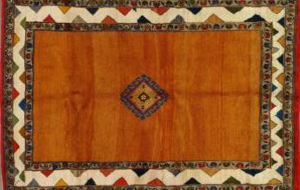 Very early Oushak carpet types are named for the European artists in whose paintings the rugs appear: Hans Holbein and Lorenzo Lotto for “Holbein” and “Lotto” rugs in overall medallion and stiff arabesque patterns, respectively. 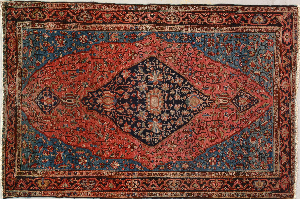 Other early pieces employ eight pointed stars or circular medallions (“star” or “medallion” types). The medallion type style was employed from c.1500 until c.1800 evolving slowly, but still always recognizable. 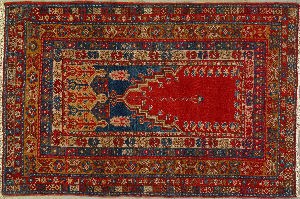 In the 19th century much production was out sourced to Smyrna downriver from Oushak, and large, coarsely knotted, highly colored carpets, were woven. In the late 19th century production increased to service the American market. 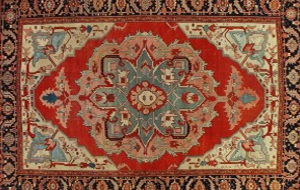 These carpets employ the usual wool foundations, Turkish knots, and long piles, but with totally new color schemes employing shrimp, light green, yellow, rust, pale blue, none of which ever appeared on period pieces. 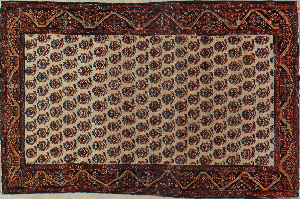 The patterns were loosely adapted from Persian sources, but bolder and more idiosyncratic. 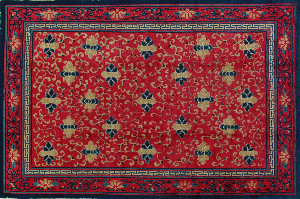 These carpets have always been in demand as highly decorative and work well with almost any style of décor.